EPIC Software Group is a major provider of high quality animations and multi-media for Fortune 500 companies. They have been a core user of Okino's PolyTrans-for-3dsMax software for well over a decade. 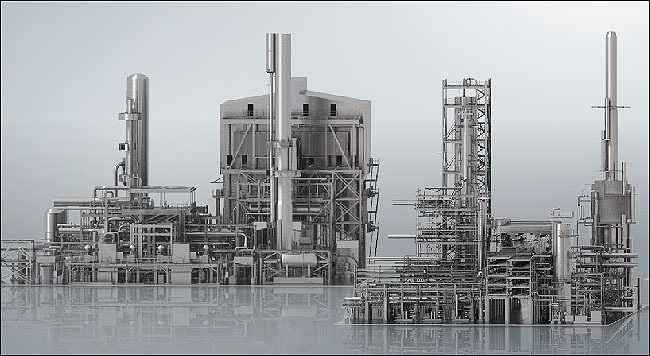 The following oil refinery animation project utilizing 3ds Max initially seemed an impossible task but Okino became involved and analyzed the situation, providing a solution which would allow EPIC Software to visualize and animate the full oil refinery within a reasonable amount of time and using standard PC machines. 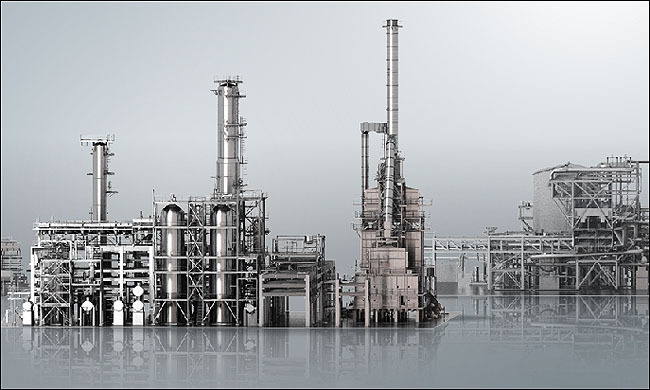 "Two days before Christmas a large engineering firm contracted us to animate an absolutely gargantuan oil refinery modeled in AutoCAD, in all its fine detail. We could not open it, far less convert it and do animation in 3ds Max without the computer crashing. We needed someone who really knows how to work with giant CAD files. From previous communications, I sent an email to Okino's CTO Robert Lansdale asking for help, knowing that Okino and Robert have focussed on large CAD translation over the last 25 odd years. I got an immediate response from Robert, who said it would take some analysis of the model(s), the file formats being used, the memory available and the degree of optimization needed from Okino software. He worked on the oil refinery for two days, getting to know the model well and determining how to make it a usable model for 3ds Max. On Christmas Eve I received the model fully optimized - not only could I quickly load it into 3ds Max, but it could be manipulated in real time, all without any loss of detail or content from the original files. Robert also provided full instructions on how to repeat the process as well as his comments about the complexity and structure of the data for reference. And at what cost? None, other than to upgrade to the newest software release. Needless to say Okino now has a customer for life. While their software is great, their customer service is unbelievable!" All graphics are Copyright by EPIC Software and CB&I, All Rights Reserved. No images may be reproduced without the explicit permission from EPIC Software, permission which Okino Computer Graphics has received.